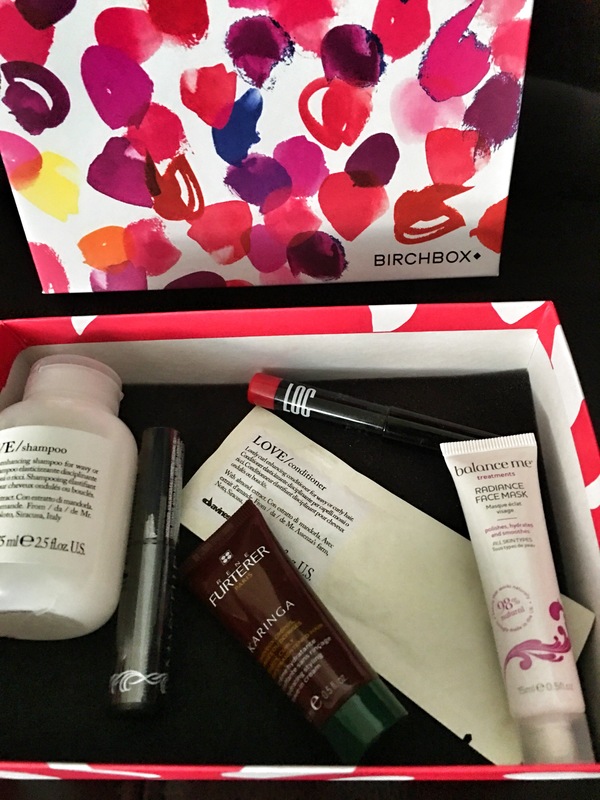 Late September, I finally gave in to a specific temptation- that is -Birchbox! I’m usually a no frills, one lipstick person- with an affinity to Kerastase for my hair. But now that I’m in my early thirties, it’s time I looked into the million products available in the market. One of my favorite apps of all time is ‘Think Dirty’- which gives you a breakdown of ingredients used in your product. It’s great- especially when you realize that you have to throw away most stuff that’s on your bathroom shelf! Do I do this? Unfortunately- I don’t! Balance Me: Radiance Face Mask: A clay based formula which cleanses, exfoliates and brightens skin. I tried it for a few days, and didn’t find any difference in my skin. Maybe someone else could put it to better use. Davines: LOVE Curl Enhancing Shampoo for wavy or curly hair: It’s a gentle olive oil soothing formula that cleanses, hydrates and detangles while defining waves and curls in the process. As its name suggests, I loved it. It made my curls soft and smooth and I couldn’t get enough of my hair! LOC: Ultra-Gloss Lip Pencil: Punch Line: A Birchbox brand hydrating, lasting and glossy lip pencil in a sheer watermelon pink that flatters everyone. Well it didn’t flatter me, and I could give this a miss. It’s great for when you have nothing in your purse though. Marcelle: Xtension Plus Curl Mascara: This hypoallergenic mascara grabs and curls even the smallest of lashes for a doe eyed look. I’m not much of a mascara user, but i loved the way my eyelashes looked with this. Rene Furterer :KARINGA Hydrating Styling Cream: Espcially meant to tackle frizz, static, and dryness, it’s a silicone free formula which uses 100% natural ingredients. It was just fine, my hair didn’t dry out at all but was a little frizzy.